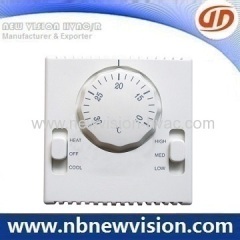 The thermostats are widely used to control room temperature in commercial, industrial and residential environment through controlling fan coil units and motorized valve. 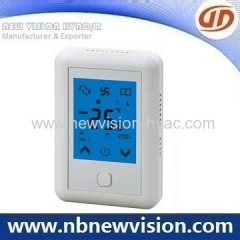 After controlling of Room Thermostats, central air-conditioner will turn the shift of heating & cooling, cause to keep stable room temperature. 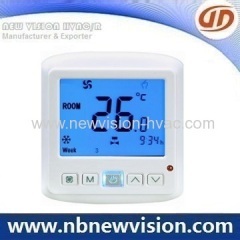 Room thermostats are widely used to control the terminals of central air-conditioning system in the business, industrial & civil constructions. 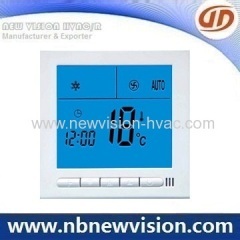 Thermostats are widely used to control the terminals of central air-conditioning system in the business, industrial and civil constructions. 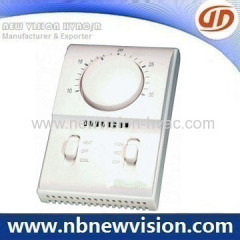 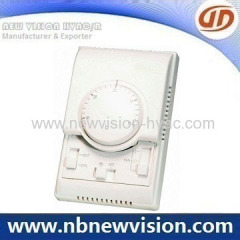 Group of Room Thermostats has been presented above, want more	Room Thermostats and Fan Coil Thermostat, Please Contact Us.